Gluten-Free Living > Tips > Could a gluten-free diet help me manage my migraines? Could a gluten-free diet help me manage my migraines? Gluten can be the culprit for a whole host of symptoms. Most people are aware of gluten causing dull aches, bloating and other gastrointestinal symptoms. However, gluten can also be the reason for frequent headaches. 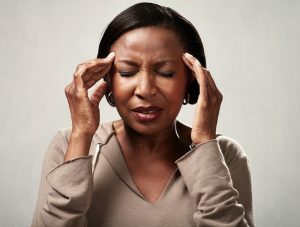 Approximately 30 percent of people with celiac disease experienced migraines or chronic headaches. Click here for the full story.